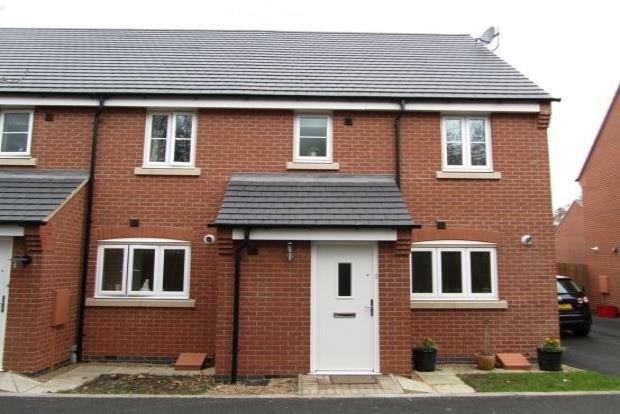 3 Bedroom Semi Detached House To Rent in Ashby-de-la-Zouch for £695 per Calendar Month. Available to let in the popular market town of Ashby De La Zouch is this well presented Three Bedroom Semi Detached House. The property briefly comprises entrance hallway, cloaks/wc, lounge with patio doors to garden, breakfast/dining kitchen with fitted units and appliances to include oven, hob and extractor. There is also a fridge/freezer, washer/dryer and dishwasher. To the first floor are two double bedrooms a third single bedroom and bathroom with white three piece suite with shower over the bath. To the rear of the property is an enclosed garden with lawn and patio area with shed. The property also benefits from a driveway and gas central heating. Secure your viewing today by calling Frank Innes 01530 412551.